If you’ve ever tried to download a large app or iOS update over 3G or LTE, you’ve undoubtedly seen the message “This Item Is Over 50MB” and telling you “You must connect to a Wi-Fi network or use iTunes on your computer to download” whatever app it is you’re trying to get. You can get around that limitation though if you really must, though unless you have a very generous data plan it may not be a good idea to do so. Having been recently in this situation, there’s a few solutions that work to go ahead and download a large app anyway. Two of these tricks require the data sharing feature of Personal Hotspot to be used, and the other requires a jailbreak but no personal hotspot. We almost always recommend you conserve data usage when on Personal Hotspot, but if you’re in a pinch there you can use these tricks to skirt around the 50MB download limitation from the App Store. Yes, you can also connect the iPhone or iPad to a shared Android phones shared internet connection as well. Yup, you are literally routing the iPhones data connection through the computer and back at itself to get around the 50MB download limit, and believe it or not, this incredibly stupid trick works to free up those size limitations for app and data downloads. You’ll need to have jailbroken the iPhone or iPad to be able to use this tweak, check out our jailbreak info for the latest on how to do that. The 50MB limitation is in place to prevent users from quickly going over their download limits, but it would be nice if those of us on larger data plans could either override the setting, or at least send the downloads into a queue of some sort to then retrieve later. In the meantime, try one of these three tricks out. 3G Unrestrictor has been good to me, as a way to get Skype and Facetime over 3G, back in the day. It also frees up YouTube HD video streams, if available. It’s well worth the $4. 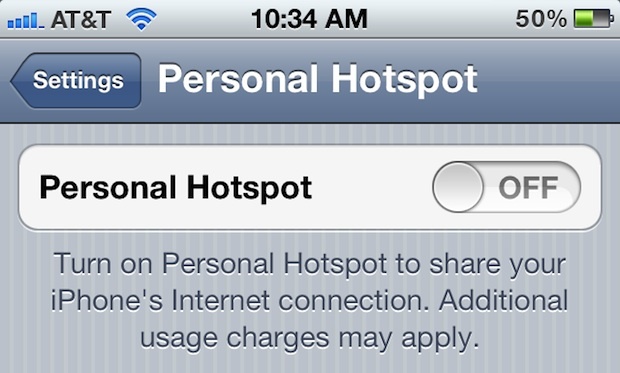 Turning on “Personal Hotspot” on any ATT iPhone costs a minimum of $25 per month. It ain’t worth it to me. This is a stupid suggestion. I think you can use another Cydia tweak to enable Internet tethering on non-tethered connection. Anyway, glad I’m living in a country that all cellular operators have no such restriction. 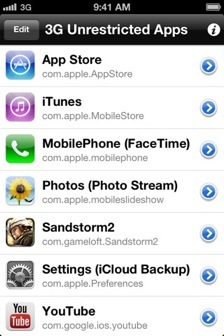 Are you saying I have to jailbreak my iPhone first, to get this Cydia tweak to work? Yes Cydia is the whole point of jail breaking an iOS device. The 50 MB limitation is in place because the 3G network is saturated with datas since the iPhone was released and it *cannot* handle too much network load. It is definitely NOT there because Apple is concerned about people going over their download limit! This is nonsense. Google has no such restriction and there are far more android phones on the planet. This is Apple spectacularly failing to meet the needs of advanced users as usual. Even if it’s true that Apple are doing it due to pressure from U.S. Carriers. There is a whole world outside the USA and we have no such issues on the 3 network over here in the U.K. I have unlimited data and cannot use it properly thanks to Apple. Limit is 100MB now … stop your complaining. It’s not 100 MB, 9.3.2 update is exactly 50 MB and apple doesn’t let me download through the 3g connection. So YOU stop making false claims. And anyway, it’s stupid to limit users to use their 3g bandwith. 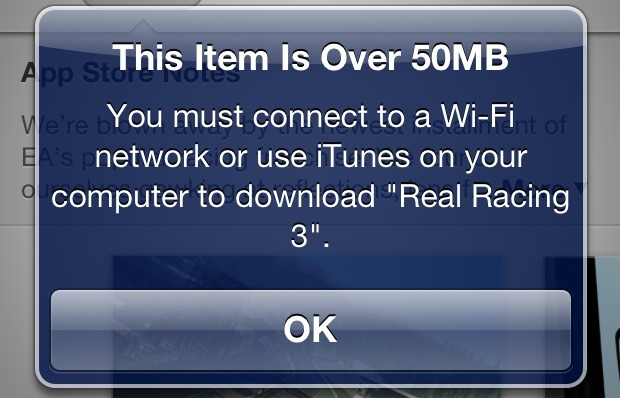 OK, warn me that 3g is slow and it can cost me money (for me it’s free), but let me use if I really want. This limitation is totally stupid. I have unlimited data allowance therefore I don’t give a damn about the usage but I am limited to 100MB download on iPhone but I can download any file size on Android. This is Apples work as clearly other manaufacturer don’t have limits and networks don’t care. The laptop work-around works wonders, thanks!! The (current) 100mb limit is really annoying and useless, so glad we’re still able to ignore it!